Look at this beautiful trio of lovely sisters! 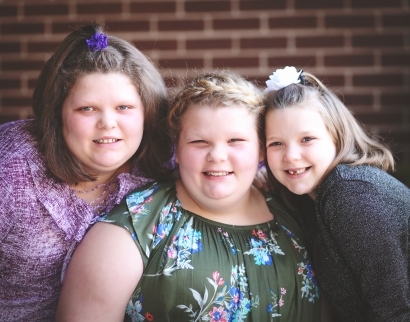 Lorelei, Abigale, and Gracie adore one another and share so many of the same interests. They were made for each other, yet sadly they aren’t able to see each other as often as they’d like. Between cheerleading and basketball these girls are true athletes. Lorelei and Abigale enjoy the outdoors as well. These three amazing siblings need a two parent forever home filled with love, encouragement, structure, and fun. Is your home the one they have been waiting for? For more information, inquire below.